Fiji will play in the World Rugby U20 Championship in 2019 after beating Samoa in the final of the World Rugby U20 Trophy 2018 in Romania. The World Rugby U20 Trophy 2018 final will be an all-Pacific Islands affair with Samoa and Fiji meeting to not only determine the champion but also the side who will be promoted to the U20 Championship next year. 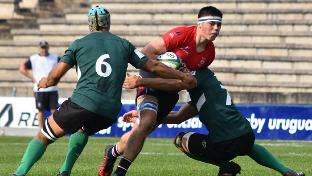 Fiji, Namibia and Samoa continue to set the pace following day two of the World Rugby U20 2018 Trophy in Bucharest. Top seeds Samoa, 2017 runners-up Portugal, Fiji and Namibia get off to winning starts at the World Rugby U20 Trophy 2018 in Bucharest, Romania. Evidence-based innovation in injury prevention is at the heart of a lowered tackle height trial at the World Rugby U20 Trophy, which kicks off in Romania today.